Passenger satisfaction with Southern services has improved significantly but remains worst in the country, a national survey has found. Transport Focus interviewed users between January and April this year, with 72 per cent of respondents satisfied with Southern trains or rated the service good, up seven percentage points from autumn 2016, the largest improvement across the country. However this remains the lowest figure in the independent watchdog’s latest survey released today (Tuesday July 25), behind Thameslink services at 75 per cent, which are also run by Govia Thameslink Railway. Thameslink and Southern are joint bottom with Southeastern when rated on value for money, Southern finished bottom for punctuality/reliability, bottom for station satisfaction, and second bottom for how well delays are dealt with. Charles Horton, chief executive officer at GTR, said: “Though the improvement in passenger satisfaction on Southern is modest, we are pleased to see it moving in the right direction. “We are in the midst of a transformative modernisation programme. We know this has been a difficult period for our passengers and for our staff but performance is now improving, and punctuality had improved for six months in a row during the period these results reflect. “The Southern network is one of the busiest and most congested anywhere in the UK; the ageing infrastructure has suffered from historical underinvestment, whilst passenger numbers have more than doubled in the last 12 years. “Our franchise was created to address these challenges and the £7.8bn Thameslink programme is on track to give our passengers the service they deserve. We are transforming and future-proofing the busiest part of the UK rail network by investing in new stations, train services and working practices. Passengers using the Southern network have faced repeated disruption since late 2015, however performance has started to improve since the start of 2017. Train drivers’ union ASLEF held strikes in December and January, while the RMT union has organised a number of walkouts since April 2016 as part of its fight against the introduction of driver-only operation. The changes involve making drivers responsible for opening and closing train doors. The RMT has raised safety concerns about the potential loss of a second-safety critical member of staff on Southern services. Anthony Smith, chief executive of Transport Focus, said: “Passengers using services in London and the South East have seen an improvement with an increase in overall satisfaction from 79 per cent last year to 82 per cent this year. 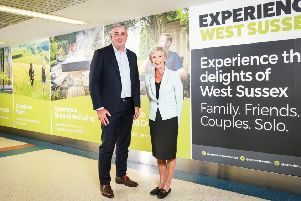 “The figures for Southern in particular show a significant recovery in passengers’ experience with a number of factors including the helpfulness and availability of on board staff and also of staff at the station. Southeastern also saw their overall satisfaction scores increase by 10 per cent. “Having said that, there is some way to go to reach a more acceptable position. Southern, Thameslink, Great Northern and Southeastern have the lowest scores. “These green shoots are fragile and need nurturing. John Halsall, Network Rail’s South East route managing director, said: “We are relentlessly focused on punctuality, as we know that’s what matters most to passengers. These survey results are encouraging, but it’s clear that there’s more still to do to provide the railway that passengers in the South East deserve. That’s why we’re continuing to work ever-more closely together with train operators, whether that’s in our joint control centres, at our busiest stations like London Bridge and Victoria, or out on the tracks as we continue to invest in improving and upgrading the railway.